Hasta la LG G Vista, baby! When it comes to the world of smartphones, you know for sure that new releases are always more than welcome. After all, the general market thirsts for something new and exciting all the time, since whatever that is deemed to be “new” tends to get old, and fast. The flagship smartphone market is worth checking out for new releases from time to time, and different hardware manufacturers do have their own schedule. 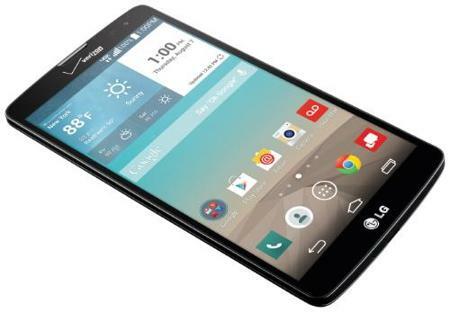 LG of South Korea has certainly expanded their offerings recently with the LG G Vista smartphone via Verizon Wireless. Your eyes will definitely appreciate the generous 5.7” HD display found on the LG G Vista, where it will also be powered by a massive 3,200 mAh SiO + battery, letting users talk, text and browse the web as well as make use of their favorite apps with style and ease, regardless of where they are at that point in time in the day. If you do not mind jumping aboard Verizon’s bandwagon, you will be able to pick up the LG G Vista via online and in-store channels with the asking price of just $99.99 – and this is after a $50 mail-in rebate alongside a two-year contract with Verizon Wireless. If you have been on the lookout for an affordable smartphone that sports all the great vibes which the G series come with, then you surely would not go wrong with the LG G Vista. This smartphone will inherit the signature rear-key, alongside a similar “Floating Arc” design which ensures that the smartphone retains a slim and sleek profile that delivers a comfortable and accessible grip whenever you are on the get go. Not only that, there is also a new and refined user interface which boasts of flat graphics that have been derived from the shape and concept of LG’s logo, further adding to its unique style and identity. Other specifications include Android 4.4.2 KitKat, a 1.2 GHz Quad-Core Qualcomm Snapdragon Processor, an 8-megapixel rear-facing camera; a 1.3-megapixel front-facing camera, 8GB of internal memory, a microSD memory card slot, and 1.5GB RAM.